A passionate review of a humble product. I’m always suspect when rampant hype surrounds a product. If there is a line around a block for some cookie dough or burger spot I’ll pass and assume the mass hysteria will end as quickly as it came. But even my cynicism cannot deny a consistent and steady product rise. So, dear reader, I’m a tad embarrassed to admit it took me practically two years into the beauty editor world before trying maybe the most and consistently hyped skincare product of all time: Weleda Skin Food, $8.64. A blend of floral botanicals, including pansy, chamomile, and calendula, calm and repair skin, while the essential fatty acids, vitamin E and sunflower seed and sweet almond oils, intensely hydrate and soften. Somehow, these humble ingredients create a cream that is perfect for even the most sensitive, acne-prone, and dry skin. It was love at first application. On a particularly blistering windy night, I reached for the face cream to top my nightly serum regime. What the heck, right? This dry skin needs something more, and I was feeling a touch reckless that night. I attempted to massage the cream onto my skin—you have to work quickly, as it’s sticky and thick. Immediately after that first encounter, my skin literally glowed with moisture. It was tacky from the cream, so I went to bed with it on and awoke with a plump, moisturized complexion. The next morning, I applied it again, but this time, I blended it with Skin Food Light Nourishing Cream. My skin was noticeably more hydrated immediately, which lasted throughout the day. From there on out, I was hooked. I get it now—I understand the obsession, the infatuation, and the hype for this thick cream. Part of the brilliance is its versatility too. 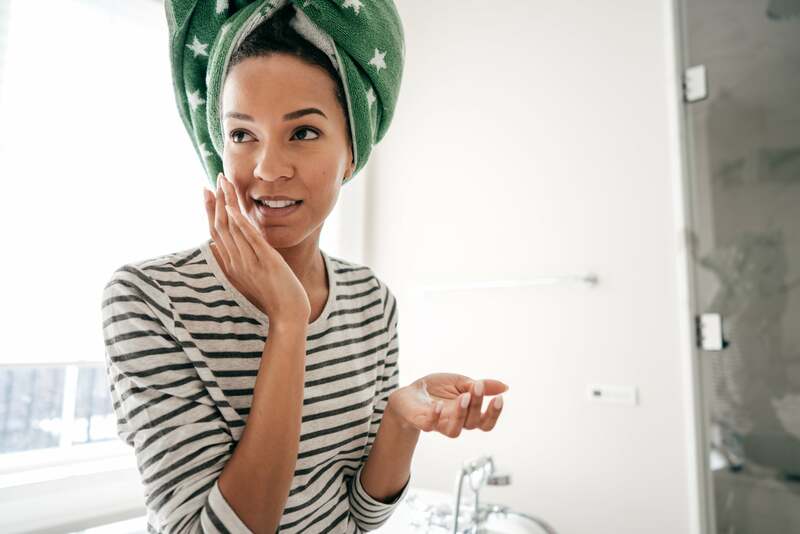 Skin Food can be used as a face mask—just apply a thick layer and let it sit for as long as you’d like before gently wipe off with a warm washcloth—or as a makeup artist–approved, glitter-free highlighter. Katie Jane Hughes massages the cream under and over makeup for an unprecedented glow. Use in your hair as a general hydrating hair cream to manage humidity and frizz, on your lips as a deep lip treatment, and all over your body as an intense balm. It plays very nicely with other products too. I put the ultra-hydrating Kosas Tinted Face Oil on top of Skin Food, let it set for five minutes, and the tinted oil magically blended together for long-lasting moisturizer. Shockingly, Skin Food was created in 1926 and hasn’t changed much from its original formula. It proves that if it ain’t broken, don’t fix it, but if your skin is lackluster, maybe put some Skin Food on it.